For the first time ever, in an effort to celebrate outstanding freshmen, the Link Crew held a Frosh Celebration. 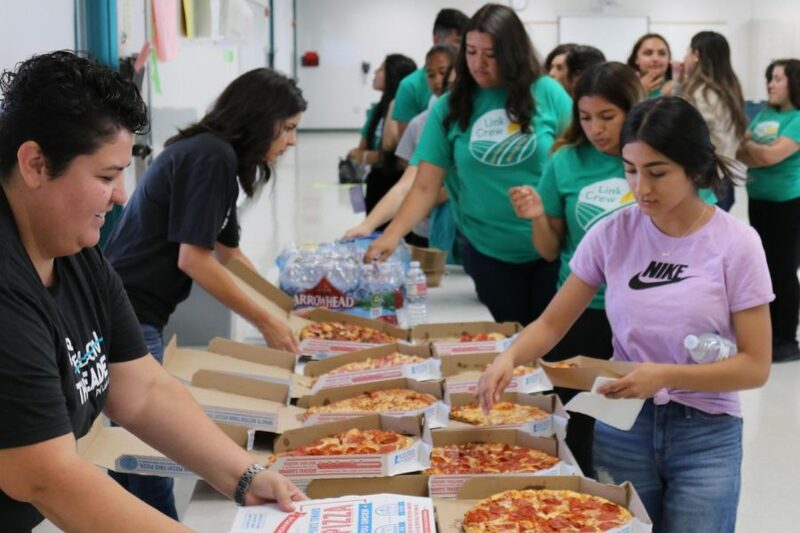 On September 12th, during lunch, Link Leaders surprised outstanding frosh during the last five minutes of 5th period and brought them to the %00’s for lunch and recognition. Ms. Baarstad explained that the Crew plans to do this 2-3 times during the school year. Great job Link Crew and congratulations Freshmen! !